Home Unlabelled As Salaam Air plane crashes in gongo la mboto, Dar es salaam. 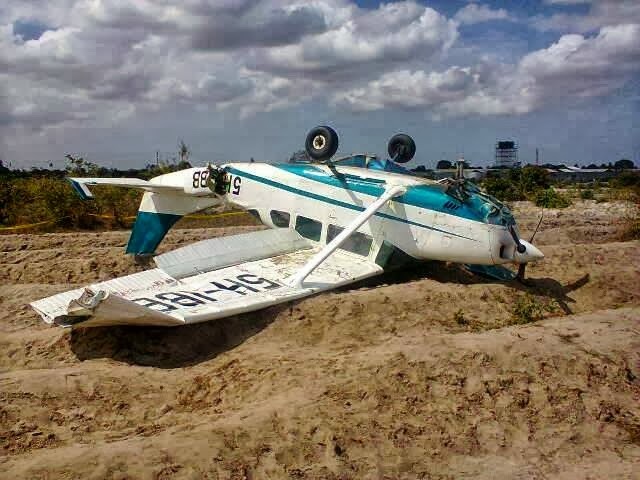 As Salaam Air plane crashes in gongo la mboto, Dar es salaam. 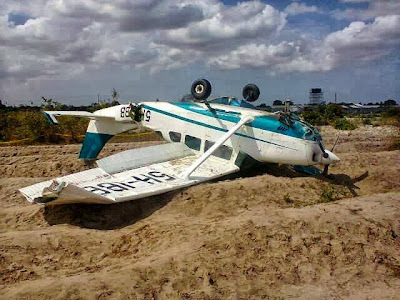 Two (2) people have escaped death on Thursday after a light-weight plane belonging to As salaam Air crashed at gongo la mboto, TPDF military area in Dar es salaam. The Cessna 206, single engined, registered as 5H-IBB crashed in an open military area near the Tanzania Peoples Defense Force barracks. On board the plane were Capt. Aziz Abdallah Salim together with his student pilot Ahmed Mohamed (24yrs). Both the two pilots came out safely with just minor bruises on their faces and were taken to hospital for treatment. Capt. Aziz narrated that he was training his new student and everything was okay until when they were going to land for the last time but as they were about 3miles from Dar es salaam, 1000ft altitude, they got an engine shut down. They then tried to carry out all emergency procedures with nil joy. They had no other option but to face the crash. To avoid crashing into the houses they directed the plane to an open military area for emergency landing and the plane crashed. 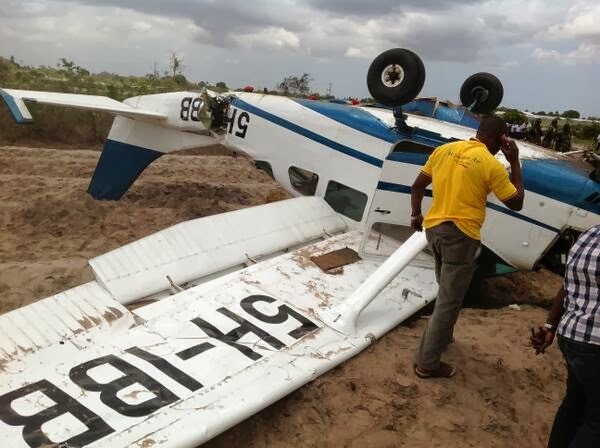 According to the Tanzania Airports Police commissioner, Khamis Suleimani, the pilots in a small plane were in training. 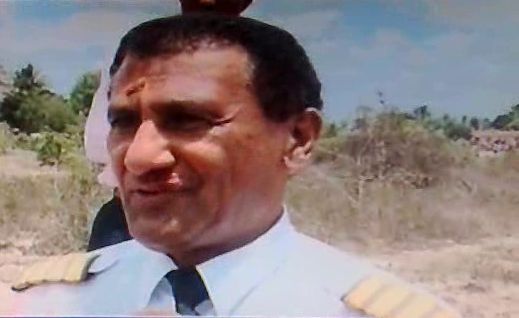 At around 1121hrs the crew informed the ATC that their plane had engine problem and at 1140hrs the plane crashed.